Stop in our beer tavern and karaoke bar in Bucoda, Washington, for ice-cold drinks and excellent live entertainment. At Joe's Place, we are proud to be your local tavern and restaurant offering an excellent American cuisine menu that includes the best burgers, fries, and steaks in town. In addition to being a renowned beer tavern, we also have a karaoke bar and put on special events year-round. 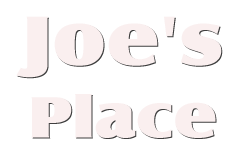 Joe's Place is a 5th generation, family-owned-and-operated business that has been established for 113 years, and we are the only original building left after a fire destroyed the block in 1930. We are known for offering a wonderful selection of beer and wine, and our menu includes delicious comfort foods and desserts. Visit us today to experience a piece of local history or to treat yourself to a satisfying meal. We offer karaoke on Saturday nights and the first Saturday of every month is a great time to come watch the live entertainment. Our professional karaoke services include 2 wireless microphones and a massive selection of mostly country-western songs. 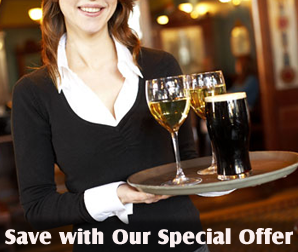 Contact us today at (888) 631-0942 for information regarding our family owned beer tavern.